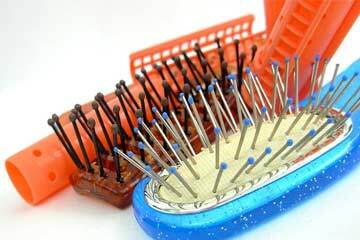 To suit your combing style & type and need of your hairs, there are many hair brushes available nowadays. These hair brushes include bristle brushes, round brushes, Flat Paddle Brush, Vent Brush, Wide Tooth Comb, Small Round Bristle Brush, Medium Round Bristle Brush, Big Round Bristle Brush, Ceramic Round Brushes available for combing purpose. Hairbrushes play very important role in hair styling too, even a hairdresser chooses right hairbrush carefully as without a right tool hair styling may become a very difficult task. Some hairbrushes are better for volume, others for smoothing. Hair brushes are made up of different texture and lengths. It’s just a matter of finding the right brush that can help you achieve the looks you want, and that works best with your hair locks. Check out this infographic by FragrancesCosmeticsPerfumes to learn more about the types of hair brushes, and their uses, just to help you choose right one for styling. Next articleWhat is Hyperhidrosis & How to Take Care of it?